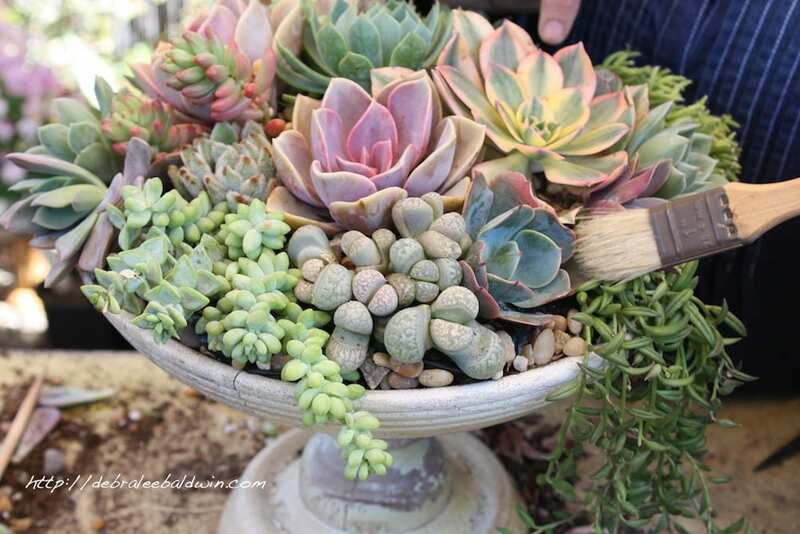 Davis, CA garden blogger Gerhard Bock has the precise mind of a scientist, the sweet demeanor of a teddy bear, the photo skills of a magazine photographer, the wit of a TV show host, and a love of succulents comparable to mine. His “Succulents and More” blog is one of the few I subscribe to, and I recommend it highly. I asked my publisher, Timber Press, to send Gerhard a review copy of my new book, the celebratory 10th anniversary, completely revised and updated, second edition of Designing with Succulents. Naturally I hoped he’d blog about it, and boy howdy, did he. Read Gerhard’s review. Gerhard also asked if I’d do a Q&A interview. I happily agreed. It’s below in its entirety. If it reads like a conversation between friends, well that’s exactly what it is.